Anyone who saw David De Gea during Manchester United’s 3-1 victory over Arsenal was most certainly left spellbound. The electric Spaniard made a record 14 saves during the encounter, and single-handedly gifted the Red Devils three points that they otherwise didn’t deserve based on all-round performance. Many crowned him as the best goalkeeper in the world after the fixture. But it would appear that a few experts don’t share this view, as De Gea didn’t even rank in the top three of their list of goalkeeping greats. The panel, brought together by France Football magazine to discern the world’s best, placed De Gea in the seventh spot. That’s right, the seventh spot, beneath the likes of fellow Premier League shot stoppers Hugo Lloris and Thibaut Courtois. Astonishingly, the panel arrived on Manuel Neuer for the No.1 spot – a decision that was unanimous on the part of all five of its members. Among Santiago Canizares, Lionel Letizi, Sepp Maier, Mark Schwarzer, and Francesco Toldo, only Toldo kept the United superstar in his top three. The system they used for voting was similar to how the Ballon d’Or is awarded. Legendary keeper Gigi Buffon came in second, while Courtois, Lloris, Jan Oblak, and Madrid’s Keylor Navas followed through in that order ahead of De Gea. 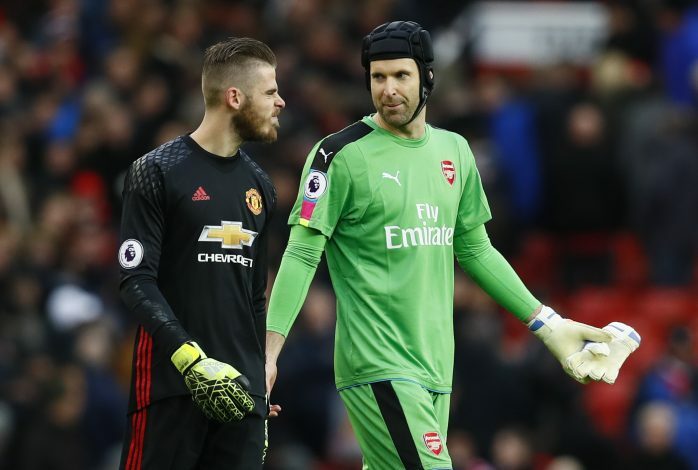 While it can be agreed that not all might consider De Gea to be the best, having him lower than the likes of Navas and Lloris would seem like blasphemy to many, particularly after Saturday night’s performance. Regardless of where they may place the Spaniard, United fans and keen Premier League observers know the true worth of the shot-stopper, and at the end of the day, that is what matters the most, after consistency of performance, of course.